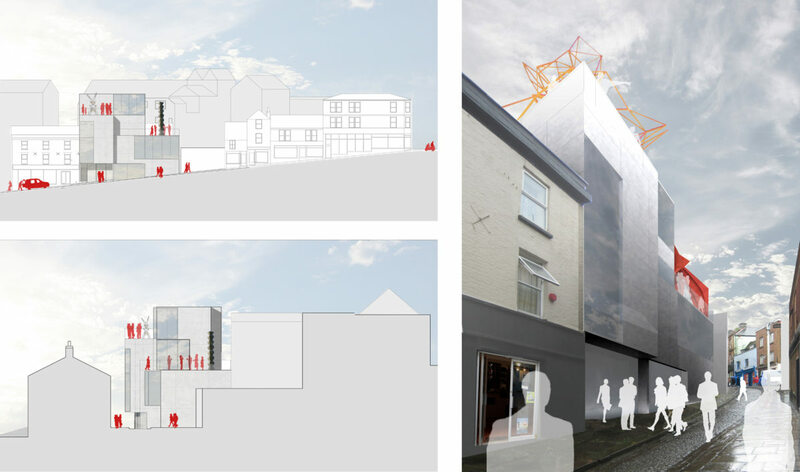 ABA competed to design a new creative foundation for the Triennial Art Project within the centre of The Old High Street. 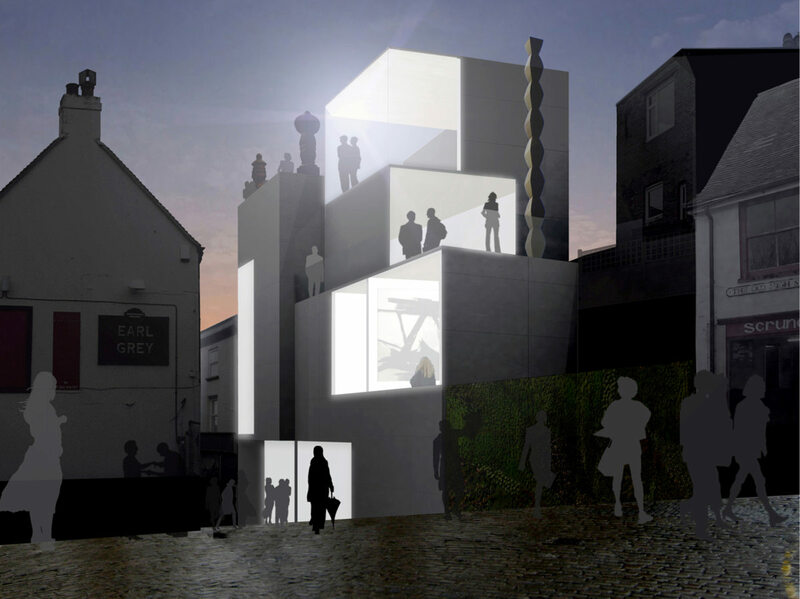 ABA believed it was crucial that the new Centre read as a living, working, home of the Creative Foundations Triennial art project. The three nestled volumes of our proposed scheme respond to the eclecticism and domestic scale of its neighbours, but also hint at the stacked volumes of skyscrapers, stepping back from the street with a certain degree of solemnity and restraint. With a soft metallic skin and seamlessly integrated studio windows, the building introduces a new architectural language to enrich the unique character of Folkestones Old High Street. 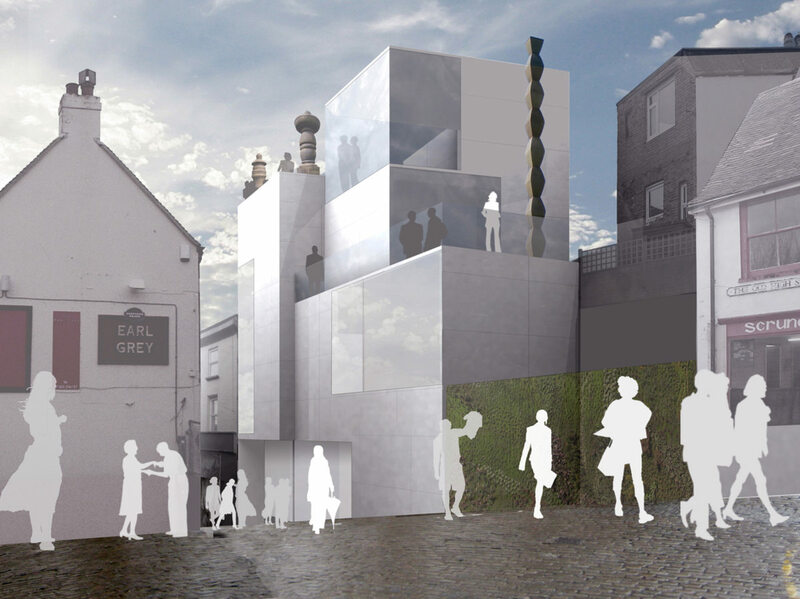 ABAs concept for the Triennal Centre draws on this spirit of discovery, engagement and the narrative experience of art against a rich townscape setting. 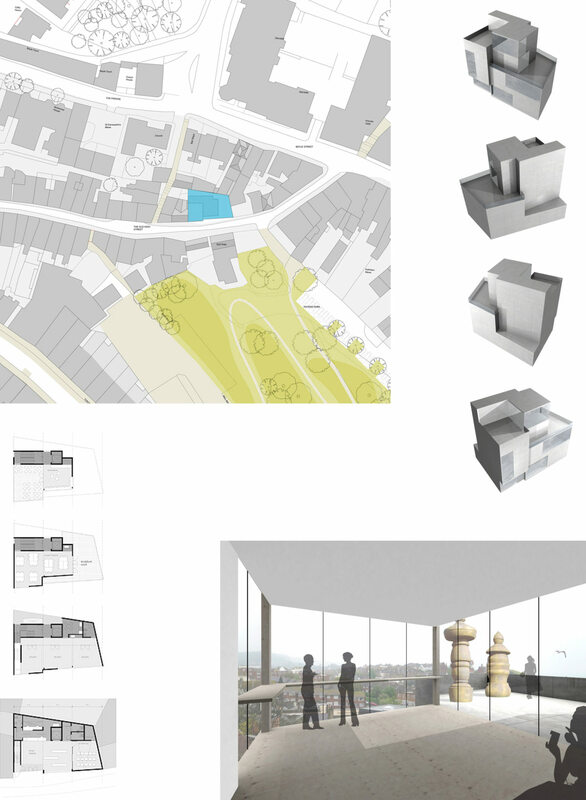 Conceived as three plinths that each form a sculpture court / roof terrace, the building itself forms three platforms for installations, for users/visitors and the activities of the Centre. Clearly visible from the High street, the terraces are immediately apparent as destinations along an ascent to a rooftop belvedere.